Our nanopore cartridge can be scaled from hundreds to hundreds of thousands of nanopores, allowing users to perform a wide range of applications on one system. We expect to enable a hundred-dollar genome. We have a very simple sample prep that only takes half an hour and doesn’t require amplification. Our system is on course to generate reads on the order of kilobases. Quantapore Inc. is developing a high-throughput, single molecule sequencing technology capable of sequencing massive amounts of DNA in unison. 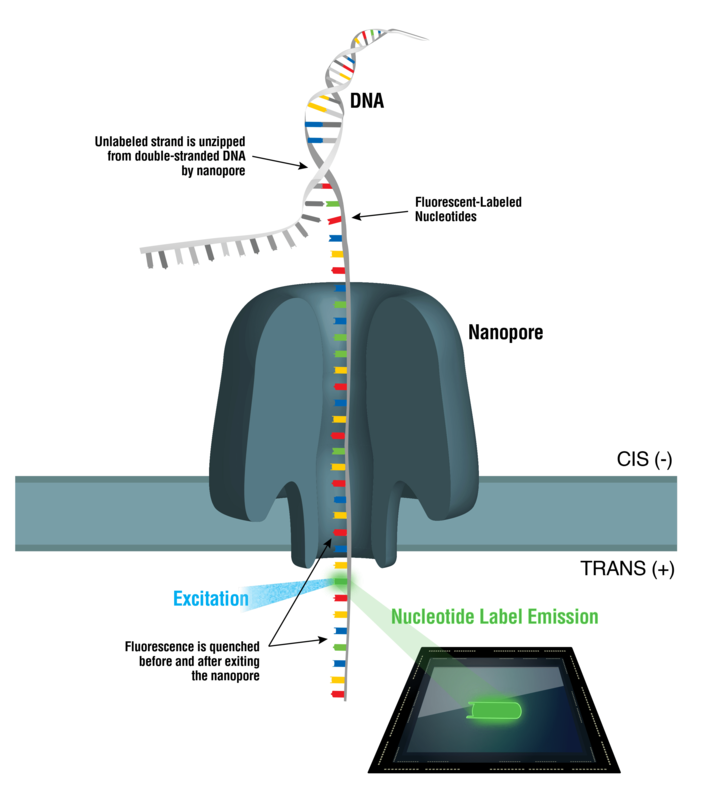 To determine sequence, fluorescently labeled DNA strands are threaded through an array of nanopores. As each base exits the nanopore, a unique fluorescent signal is generated and optically read. Our elegantly simple solution will provide a multitude of benefits to researchers…from those conducting low throughput, targeted sequencing to those conducting genome sequencing.